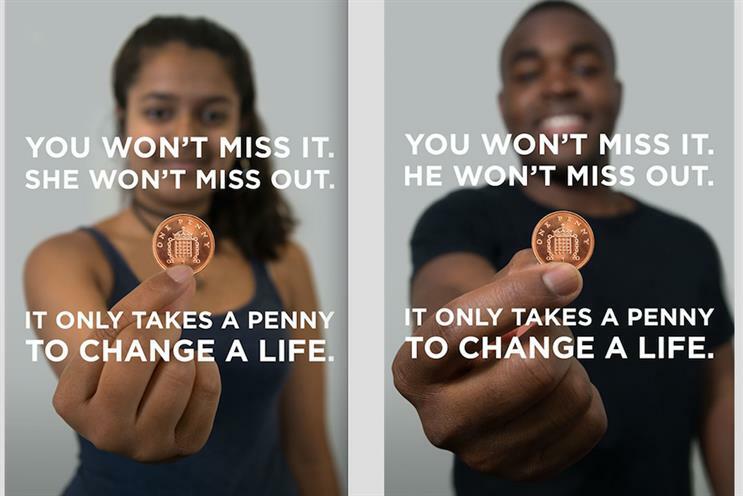 Penny for London, the charity scheme spearheaded by London mayor Boris Johnson, has been launched in London today (30 September) to urge commuters to donate a penny to change a life. Created by Geometry Global, the campaign features young Londoners who have benefited from Penny for London donations. Under the headline "You won't miss it. They won't miss out" the ads encourage donations when using contactless technology to pay in the various retail partners. The campaign, run in partnership with Transport for London and Clear Channel, will be viewable on outdoor sites, shops, bus shelters, tube stations, and at One Piccadilly Circus. There will also be radio spots on Magic FM, narrated by young Londoners. The lead creatives were Daniel Hennessy, the chief creative officer at Geometry Global, Jon Ashwell, the creative director. Andy Maddick and James Cahill were the senior art directors. Sarah Todd, chief executive of Geometry Global, said: "Londoners want a painless way to make a real difference to the lives of London kids. "Many people think there’s very little you can do with a single penny but the fact is when you add them all together they have the power to do amazing things."